PHOENIX--(BUSINESS WIRE)--National Ice Cream Day is Sunday, July 15, but PetSmart® is celebrating all weekend long by offering free, dog-friendly ice cream at its PetSmart PetsHotel® locations across North America. * In the past, PetSmart hosted the in-store giveaway on just one day, but is expanding it to two days this year. 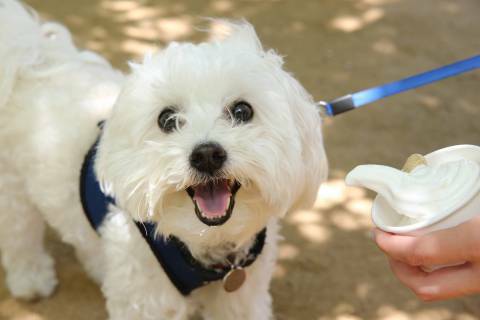 All day during store hours on Saturday, July 14, and Sunday, July 15, dogs can get a four-ounce, complimentary serving of dog-safe ice cream at PetSmart stores with PetsHotel facilities. This frozen treat is customarily offered as an add-on treat service at Doggie Day Camp and during overnight stays. PetSmart is encouraging pet parents to share photos and videos on Facebook and Instagram of their pets enjoying National Ice Cream Day using #nationalicecreamday and tagging PetSmart. For a list of PetSmart PetsHotel locations, visit https://www.petsmart.com/store-locator/. *All giveaways available while supplies last.